As our understanding of apoptotic pathway expands, we are coming to realize the great potential of utilizing this pathway to treat diseases such as cancer. The book attempts to review, summarize, and speculate on the apoptotic pathways, how are they regulated and how targeted therapies are being used to treat a wide variety of diseases. Special emphasis is placed on cancer since new treatments either being developed or currently in the clinical setting are showing great promise to increase survival rates for cancer patients. Chapters will address the biology behind regulating the apoptotic pathways and what goes wrong in disease states whereas other chapters will concentrate on new therapies targeting apoptotic pathways. 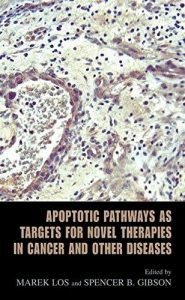 The reader by the end of the book should have greater insight into the understanding and utilization of apoptotic pathways to fight diseases such as cancer.